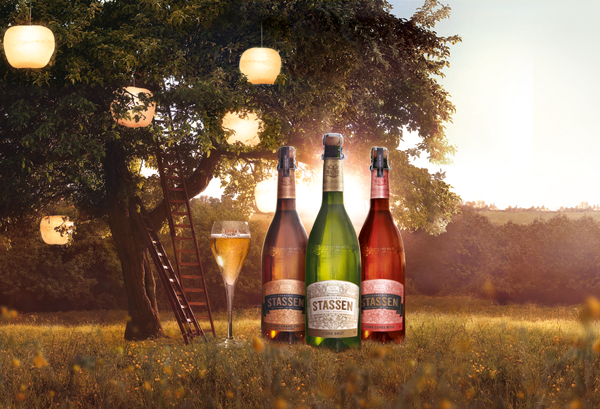 Cidrerie Stassen is a beautifully crafted cider, available in 750ml bottles, which appeals to a more discerning cider drinker, and perfect for sharing. It originates from Belgium’s Aubel Valley, which has a heritage in cider-making going back to 1895 and a reputation for traditional craftsmanship. Brut is a blend of the finest apple varieties with a touch of pear juice. It is an exquisite sparkling cider with a pale golden hue, woody notes and a smooth finish. Rosé is made using unique red-flesh apples and has a distinctive, pink hue with subtle notes of red berries. Grand Cru is made with the delicate fresh juice of the Aubel Valley apples, and has elegant bubbles and a long fruity finish.